If buying a boat, you should undertake it with careful consideration and forethought. It is so easy to fall for the beautiful lines of a classic boat only later to find that she is totally unsuitable for your needs and pocket. As well as thinking about the type of boating you want to do, you also need to consider her regular upkeep and the cost of mooring or storage. And anyone thinking of living on board needs to consider how many of those conveniences we are accustomed to on shore, they can live without. It is also worth being honest with yourself about your experience. 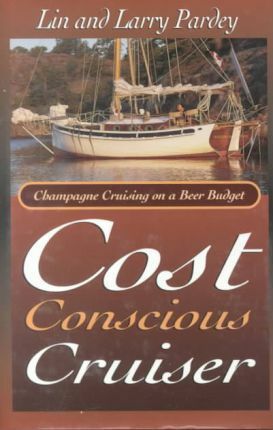 Over the years I have come across several folk who have bought a boat on the basis of a romantic dream then discovered that the lifestyle, for various reasons, wasn't for them. And if, as I hope you are looking for a wooden boat, you need to have some idea of her condition before you begin to negotiate. The maxim "Keep it simple and keep it small" is worth keeping in mind. This will not only affect the initial cost of buying a boat but will also affect the cost of maintaining and mooring. And you can still have an awful lot of fun on a little boat, it just takes a bit of organising. Naturally it will depend to a great extent on the type of boating you plan to do and the kind of waterways you plan to sail on, as well as the length of time you want to spend away from the marina or mooring. If you have long term cruising or live aboard plans then clearly you will need different accommodation, equipment, etc, than someone who simply want to mess about on a boat for the odd day. One of the advantages of buying a boat, especially a wooden one, which needs fixing up is that you will have an intimate knowledge of her construction and will feel more competent of maintaining and fixing her. And the cost of restoration can be spread over the time span of the rebuild, however time is another cost to bear in mind. It is all very well assuming that you are going to cruise in warm climates and will spend much of your living time in a large cockpit, but inclement weather occurs everywhere. And don't forget the importance of having space for some privacy if you plan to sail with others, even if you are close. A minimalist approach to cruising is more attainable for those who can maintain their boat as well as being able to cope with breakdowns to equipment. Buying a boat to live-aboard is such an individual choice, rather like choosing a house, one that appeals to one person may be an anathema to the next. And it is important to separate any romantic notions form the practical. Before getting too carried away by dreams of tropical isles and sunny seas, think carefully about your needs. Cruising and living aboard for many is more about the lifestyle than fast sailing. Yet for others a quick passage between anchorages is important and motoring rather than sailing is the rule, so a strong reliable engine is a must. While size will dictate the costs, having enough living space for comfort, and don't forget storage, is going to be important in the long term. All that 'must have' electronic gadgetry is another consideration, the more you feel you need the more space, battery power and battery charging ability you will require. It is better, when buying a boat to focus on your budget constraints, and find a boat to fit that first, rather than trying to stretch your budget to suit the boat.